Aired on Thursday, Friday 26th. Tulsa’s soon-to-be School Superintendent is in town visiting schools and meeting parents. 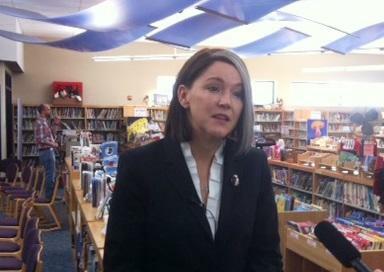 Dr. Deborah Gist met with the media while touring Disney Elementary. She comes here from Rhode Island, but attended Memorial High School and has family in Tulsa. She says first priority is to listen to what Tulsans have to say about public education. As a large urban district, Tulsa presents challenges, but Gist says she’s had a passion for urban districts throughout her career. Gist will take over when Keith Ballard retires at the end of the school year. 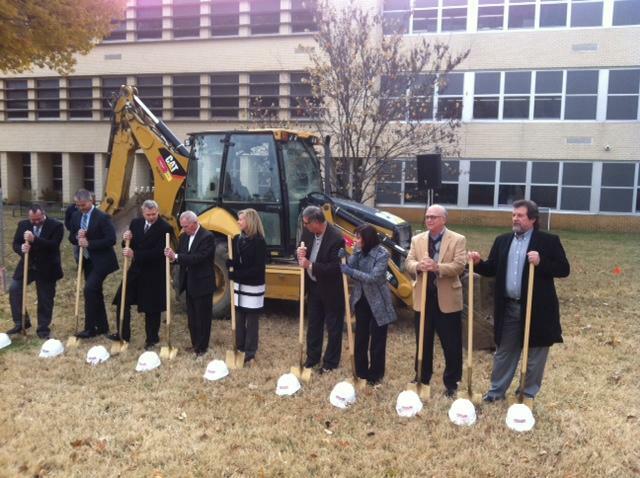 Education leaders break ground on a new Collegiate Center for Edison Preparatory School in Tulsa. The $4.4 million bond-funded facility will include lecture and testing halls, new classrooms, a computer research lab, and a study lounge. 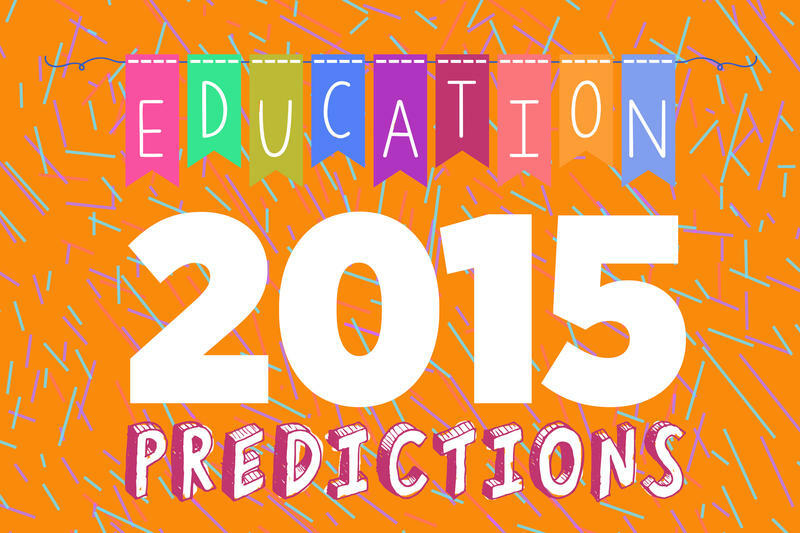 It’s designed for students preparing to transition to college. The building will also have two safe rooms built to FEMA standards to provide shelter during severe weather. Construction is scheduled for completion in summer 2015. A Far-Reaching New Partnership Known as ImpactTulsa Addresses "Education: The Calling of Our Time"
ImpactTulsa is a newly formed, entirely pro-education initiative that brings together locally based community leaders from the varied realms of education, business, civics, nonprofits, philanthropy, and the faith community -- all of which are united, as per the ImpactTulsa website, "to engage the community to provide a pathway where all students are guaranteed a high-quality education." Our guests today on ST are Kathy Taylor, the CEO of ImpactTulsa and a former mayor of this city, and Dr. 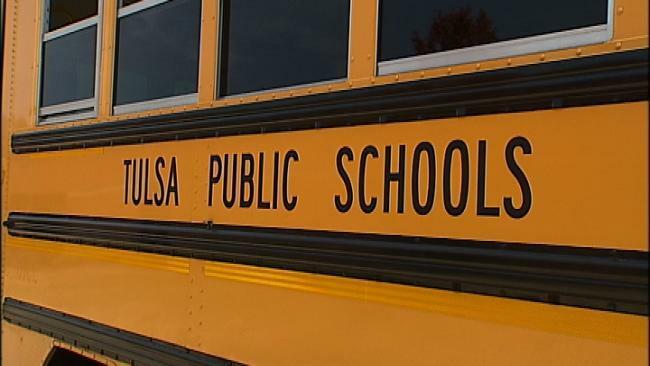 The new district report cards are out, and Tulsa Public Schools didn’t do well. TPS has a total of 49 schools with failing grades, up from 36 last year. But District Spokesman Chris Payne says it’s not an apples to apples comparison because special ed and English language students weren’t given modified versions of achievement tests as in the past. He says it makes comparisons meaningless. Payne calls the school grading system ‘deeply flawed’. Five schools received A’s, four got B’s, and seven C’s. (Note: This program originally aired back in April.) We speak by phone with the noted performance poet, former middle-school teacher, and current teachers' advocate Taylor Mali. 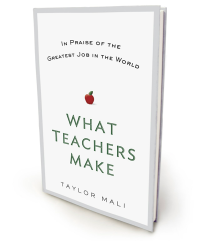 His new book --- "What Teachers Make: In Praise of the Greatest Job in the World" --- is based on a poem that he wrote several years ago, a spirited and encouraging defense of the teaching profession that has, by now, been seen and forwarded millions of times on Facebook, YouTube, Twitter, and elsewhere. At 2 p.m., it's crunchtime for students who write for The Harbinger Online, the award-winning, student news site at Shawnee Mission East High just outside Kansas City, Kan. They've been investigating an initiative to develop common curriculum and test guidelines for states. The young reporters have pored over countless documents about the Common Core State Standards and talked to Kansas state legislators who pushed for their adoption, trying to understand why they're necessary.